SHAH ALAM: An inquest opened here today before coroner Rafiah Mohamad to determine the cause of death of a firefighter who was injured during the riots at a Hindu temple in USJ 25, Subang Jaya, in November last year. 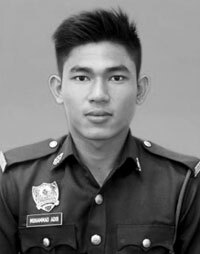 Firefighter Muhammad Adib Mohd Kassim was badly injured during the riots at the Seafield Sri Maha Mariamman Temple on Nov 27. It is believed that he was assaulted by several rioters. He succumbed to his injuries at the National Heart Institute on Dec 17.